Motivational keynotes and workshops that improve business thinking, brainstorming, creativity, and decision-making. To achieve sustainable competitive advantage, an organization must pursue innovation in all aspects of their business. Hazel helps her clients build that innovative attitude and culture. Her background in mathematics and technology coupled with her natural creative research interests make her an ideal speaker and coach to organizations wanting to balance their critical and creative efforts. Life and business is not all critical thinking nor is it all about being creative. Breakthroughs happen when both critical and creative thinking are applied. Hazel’s audiences learn how to think more clearly, more critically, and more creatively as individuals, managers, and teams. They learn how to approach a problem, to have confidence in their method and to be able to explain their solution in the most convincing way. They learn about style differences and how to draw on multiple perspectives from different backgrounds and thinking styles. Hazel has spent her life pursuing the subject of how the human brain learns new subjects and thinks; first concentrating on how this applied to learning mathematics since it is the subject that most often gets gasps and groans, then as it applied to business and individuals in general, and then finally to creative and critical thinking as it applies to corporate cultures and especially to business teams. Her books, speeches, coaching, articles, and websites are all dedicated to this subject in one way or another. It is her passion and life's work. In the process she achieved a PhD in Mathematics from Northwestern University, an MBA in International Marketing and Finance from DePaul Graduate School of Management, and has taught at Kellogg, Cardean, and DePaul. She has also spanned the globe in the field of technology, worked in sales and marketing management, and then started her own consulting company in 1991. Oh, by the way, she also raised three children who have become entrepreneurs as well. Hazel customizes her speeches to fit the needs and interests of the audience. She speaks on Decision-Making, Critical and Creative Thinking, and Power Brainstorming as it applies to business strategy, team building, sales and marketing. 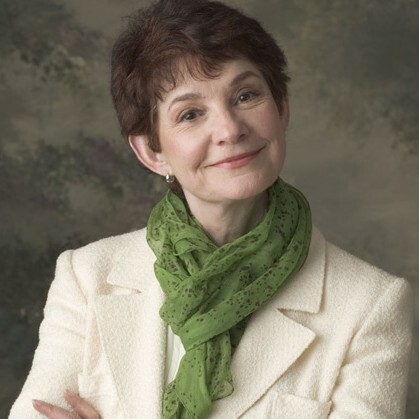 Hazel is certified in assessments such as Myers-Briggs, HBDI, Mindex, DISC, and uses multiple methods such as Overcoming the 5 Dysfunctions of a Team by Lencioni. She has worked for major universities and public and private corporations. In July, 2000 she was named by I-Street magazine as one of the top 25 women in technology in the Chicago area. Power Brainstorming: Great Ideas at Lightning Speed is Hazel’s book packed with dozens of ways to brainstorm more effectively. Her newest book, Business, Brains & B.S., follows a young man who took over from his father in running a research company which becomes mired in a murder mystery. Check out her books online or any book store, sign up for her newsletter, or scan through her websites, PowerBrainstorming.com and HazelWagner.com. Find out more about Curiosity, Creativity, Critical Thinking at http://powerbrainstorming.com.